With a population of more than 13 million, Tokyo is one of the 10 largest cities in the world in terms of population. It is also known as a shopping haven and you can expect the pace to be frenetic. Although the popularity of its electronic items has recently been displaced by stuff from China, which are more cutting-edge and cheaper, the city remains the top choice for chic fashion wear, branded goods, watches, traditional Japanese crafts and quirky items found nowhere else. To help you get around, the following is a rundown of shopping districts within the city. Shibuya is a magnet for young adults, especially those in their 20s and 30s. Here you can find creative fashion that’s reasonably priced. The crowd can be overwhelming especially during peak hours but the area is lively and full of energy with some stores that stay open 24 hours. Around the district are well-known shopping malls such as 109, Mark City, Marui and Hikarie. 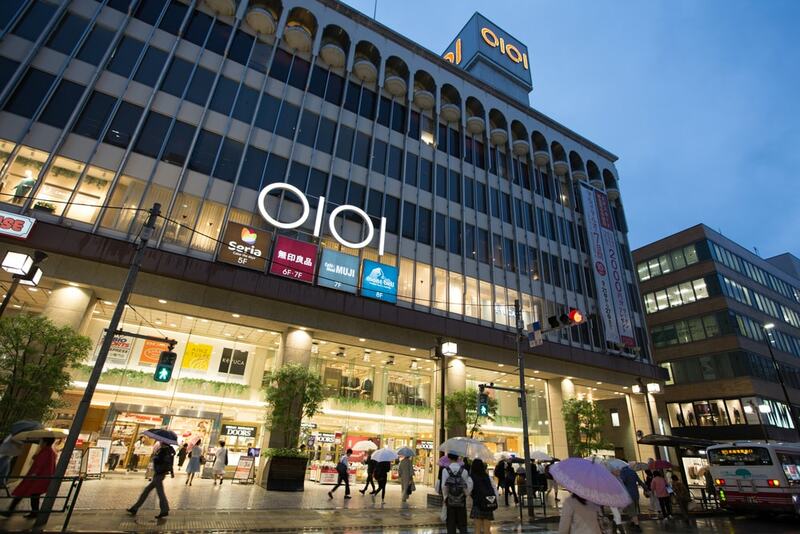 Other interesting malls are Tokyu Hand for lifestyle items, Matsumoto Kiyoshi for beauty products and cosmetics and Mega Don Quijote, a 24-hour discount store. 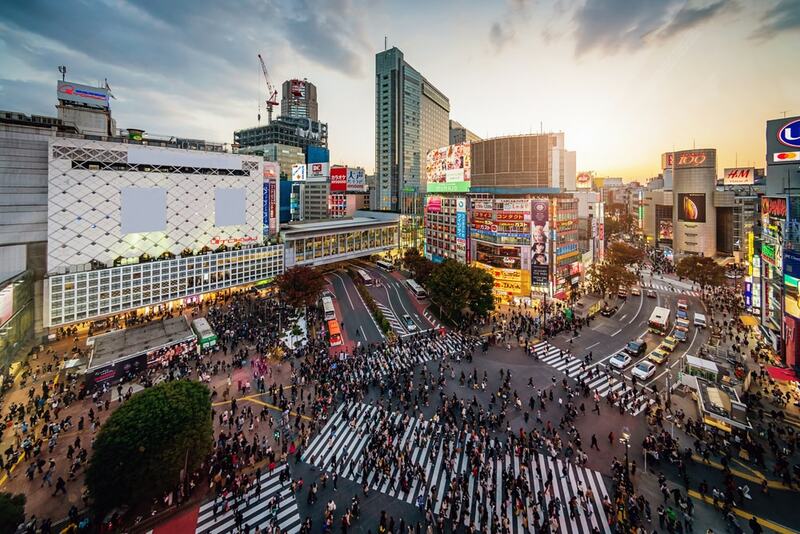 While at Shibuya, you may also want to check out the iconic Shibuya Crossing, said to be the busiest intersection in the world and often featured in movies. 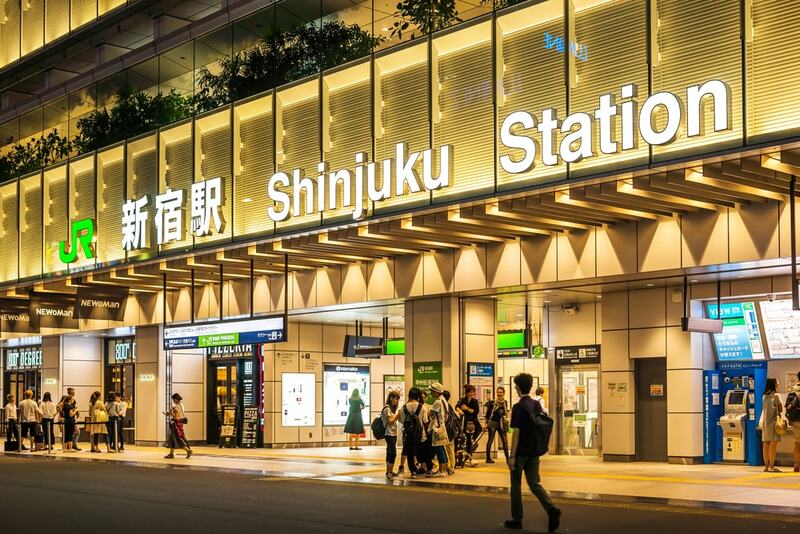 Shinjuku is as busy as Shibuya as it is where Shinjuku Station, the world’s busiest train station, is located. With over 200 exits and three million people passing through daily, it is easy to get lost at the station. Located around the station are several shopping malls including the latest NEWoMan, aimed at mature women; Lumine sells fashionwear and household goods; Odakyu and its spin-off Odakyu HALC house Bic Camera, a major electronics retailer; Isetan; Takashimaya; Marui Honkan (OIOI) targets women between the ages of 25 and 30; Yodobashi is great for cameras and electronics; Kinokuniya bookstore; Sekaido for art supplies; and more. Mosaic Street, a pedestrian street connecting Odakyu and Keio is a good place to hunt for souvenirs. And don’t forget to explore the back streets where you can find many restaurants and cafe. Think cosplay and anime characters and Harajuku is where you are likely to meet them, especially along the pedestrian street, Takeshita. Located between Shinjuku and Shibuya, the stores at Harajuku sell all kinds of street wear, punk t-shirts and weird costumes. 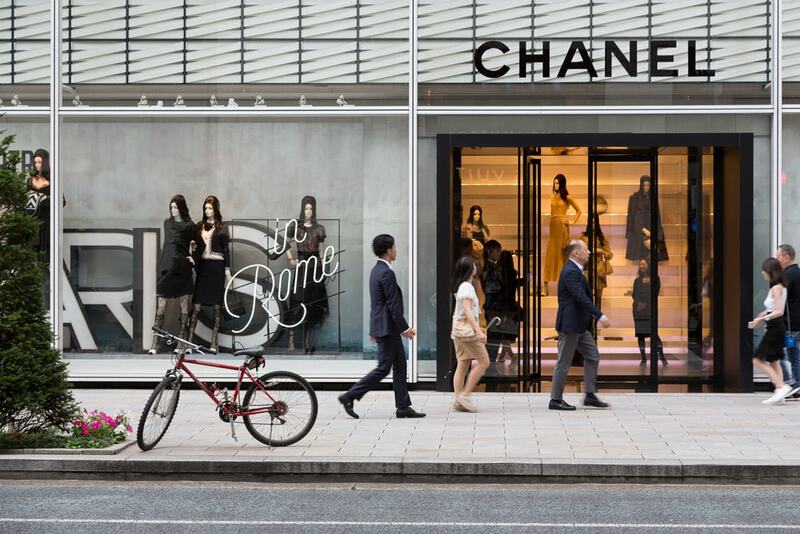 Along Omotesando street you might find more mainstream luxury items. Walk along the back streets and you may be in for more surprises like Cat street, a hipster paradise lined with funky boutiques. Even if you do not have anything you need here, it is still a pleasant place to explore and for people watching. Nearby at Omotesando, said to be Tokyo’s Champs-Elysees, you can find high fashion brands, chic cafes and restaurants. Prada’s flagship store, Issey Miyake and Comme des Garcons can also be found along this stretch. Fashionistas should also check out The Omotesando Hills Complex. Akihabara is a mecca for those looking for toys, gadgets, cameras, electronics or computer games. The otaku (namely youths who are into anime, cosplay and manga) culture is strong here, and there are many stores selling costumes, themed restaurants and even maid cafes. 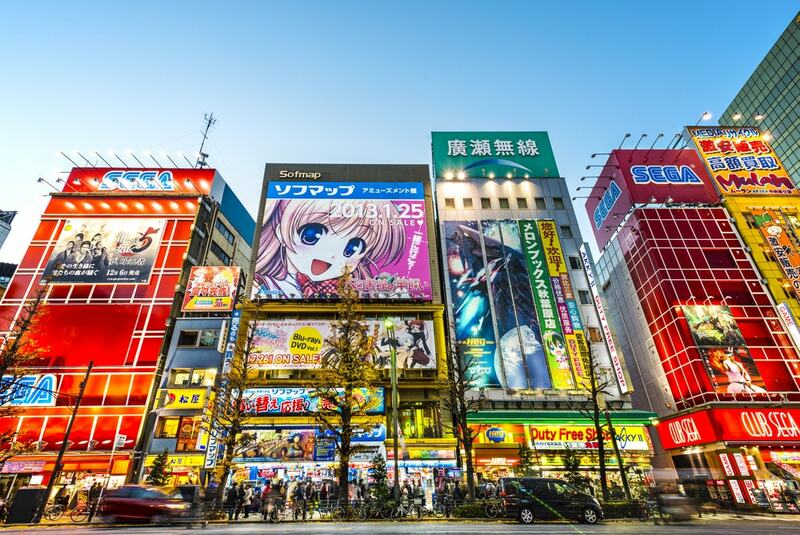 Start your adventure at the main Chuo street and work your way towards Mandarake, an eight-floor complex dedicated to manga, action figures and other collectibles. Other stores to check out are: Yodobashi, an electronics hypermart, Akky, Sofmap, Labi, Laox, Ishimaru Denki and 2k540 Aki-Oka Artisan. If you are looking for local handicrafts, old wooden furniture, kimonos, ceramics and other knick knacks that remind you of old Japan, head towards Asakusa where the landmark Sensoji Temple is located. Many of the shops around Nakamise street have been selling local handicrafts for hundreds of years. Ginza is often compared to New York City’s Fifth Avenue with its huge array of luxury brand outlets such as Chanel, Louis Vuitton and Prada. If you are into luxury brands, this should be your first stop. Big department stores in the area include Ginza SIX, Ginza Mitsukoshi, Matsuya Ginza, Ginza Wako, Tokyu Plaza Ginza, Barneys New York and Marronnier Gate Ginza. Other specialty stores include Sanrioworld, Itoya (stationery store), Atmos (shoe store) and Hakuhinkan (toy park). A family-oriented destination for shopping, dining and entertainment, Odaiba is located on a man-made island in Tokyo Bay. There are numerous shopping malls around the area such as Aqua City, Tokyo Craft Town, DiverCity Tokyo Plaza, Gundam Base Tokyo, Hello Kitty Japan, Cats Livin, Venus Fort at Palette Town and Decks Tokyo Beach, and each has its own theme. For example, Venus Fort mimics a medieval European town, DiverCity caters to manga and anime fans, while Decks is designed like a ship. 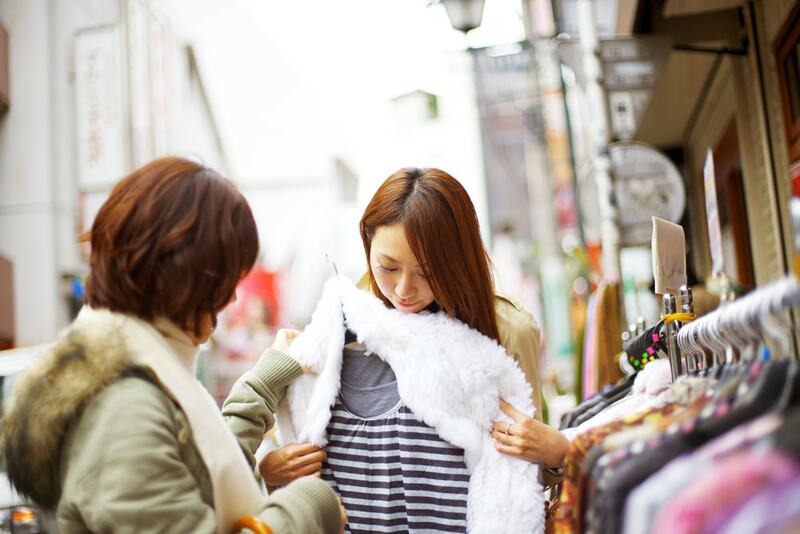 Located just 10 minutes from Shibuya, Jiyugaoka is famous for its fashion boutiques and stores selling Japanese-designed apparels and household items. The area has a chic European feel and most of the shops are along Marie Claire and Green streets. Some of the more interesting stores are Koe House, La Vita, Popeye Camera, pual ce cin and Hotch Potch. Another affluent district famous for high-end boutiques and local designer shops is Daikanyama. Here you will find popular clothing stores centred along the streets like Hachiman-Dori, Kyu-Yamate-Dori and Komazawa-Dori. Popular stores include Hollywood Ranch Market, UES Clothing, High! Standard, Okura and Tsutaya Books. Nakameguro, located next to Daikanyama, is a small residential area, a foodie’s paradise and a fashionable shopping haven with a laidback pace. 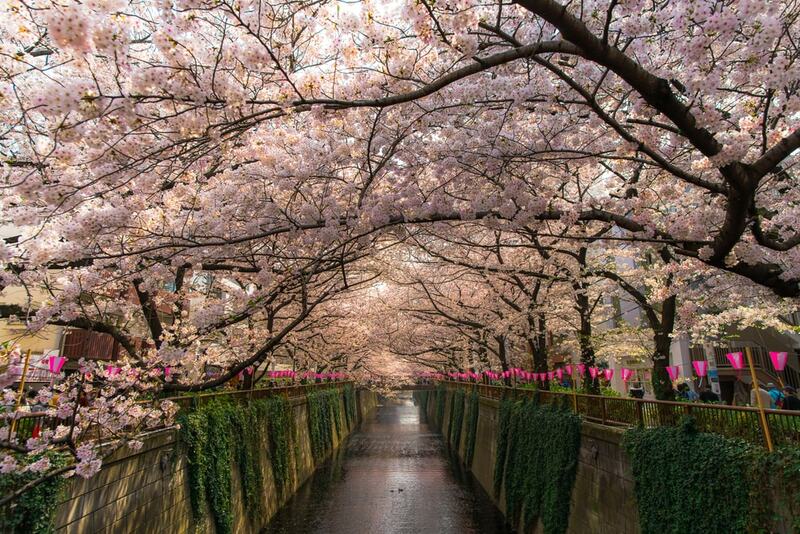 However, the pace picks up during the cherry blossom season in March and April, when the flowers are in full bloom along the banks of the Meguro river which is a popular spot for both locals and visitors. The area is filled with fashion boutiques, chic coffee shops, specialty and lifestyle shops. Some of the more popular shops are Brick and Mortar, 85/Hachigo, SML, Traveler’s Factory, 1LDK, Telepathy Route and Saturdays Surf NYC. Shopping in Tokyo is considerably more expensive compared with other Asian cities but the whole experience is more pleasant as sales personnel are generally polite and attentive. There are also many unique items and fashionwear that can only be found in Japan. As a foreign visitor, you are entitled to tax refunds when you leave the country. Just remember to bring along your passport while shopping.